South Africa’s marathon man on the court undermined by a surprisingly error-strewn display and an inspired opponent. 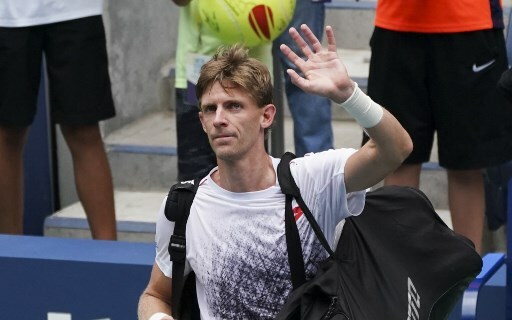 South African Kevin Anderson’s grand slam run came to an end as he lost 7-5 6-2 7-6 to Austria’s Dominic Thiem in the round of 16 at the US Open, in New York, on Sunday. The 32-year-old Anderson came into the match as the favourite as the runner-up in the 2017 US Open and he had also reached the final of Wimbledon earlier this year. The fifth world-ranked Anderson had also boasted a 6-1 record against Thiem on hard courts. However, it was not Anderson’s day as his 24-year-old opponent produced a stellar display of power and accuracy to claim his ticket into the quarterfinals. Thiem, in fact, won 91 percent of points on his first serve – an indication of his incredible play. Anderson, in contrast, won 72 percent of points on his first serve – which is usually his biggest asset. The first set proved to be quite a tussle between the evenly-matched power servers. In the end it was a single break of serve which Thiem converted to take the set 7-5. In the second set Thiem really began to assert himself as Anderson struggled physically. The most revealing statistic was Anderson’s 14 unforced errors to the five of Thiem, which saw the world number nine break serve twice to take the set in a convincing 6-2 scoreline. Anderson was staring elimination from the event and needed a swift improvement in his play to keep his tournament hopes alive in the third set. In the tightest set of the match to date, there was just one break point opportunity – on the Anderson serve. Thiem, though, was unable to convert and the pair marched into a tiebreak. Thiem proved unstoppable in the tiebreak, surging ahead to a 6-2 lead before converting his first match point to close out the victory.